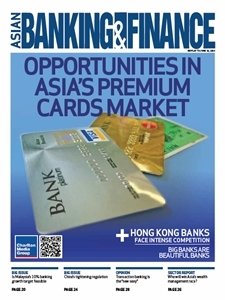 Asian Banking and Finance is the leading industry publication offering fresh perspectives and ideas on Asia's dynamic financial services industry. ABF is published quarterly and carries a well-balanced mix of articles that appeal to senior bankers in Asia including general news stories and specific analyses of issues relevant to the commercial, retail, and investment banking sectors in Asia. Each issue blends the right amount of industry talk, inside information and insights, people profiles, sector analyses, and opinion pieces. Subscribe to Asian Banking and Finance for only US$395/year to get exclusive access to well-balanced and compelling stories on today's Asian banking and finance industry.